While there were a few members of the prog world who knew of David MINASIAN having produced and directed a number of DVD's for legendary English progressive rock band CAMEL, most were unaware of David's own musical background until it was announced that he would be releasing an album titled "Random Acts of Beauty" in 2010. David had begun classical piano training at the age of five and by the time he was 15 was asked to turn professional. However his real interests lay in filmmaking and that is what he ultimately chose as a career path. After graduating with honors with a degree in film and television production, David began working freelance for a number of companies around LA as a producer, director, writer, editor, cinematographer and occasional soundtrack composer. But after hearing the song "The Land of Make Believe" by THE MOODY BLUES one day on the radio, his interest in progressive rock began to take hold and he started to record his own demos. Those tapes led to an offer of free studio time from pop act The Captain and Tennille at their state-of-the-art recording facility in the San Fernando Valley. Sessions yielded top quality masters, but no label interest resulted. Record companies in LA at that time were obsessed with disco, punk and New Wave. David's songs and image simply didn't fit in, and 'prog' was the last thing they wanted. Undeterred, David embarked on the ambitious idea of recording his own album independently where he would serve as keyboardist, composer, producer and lead singer. 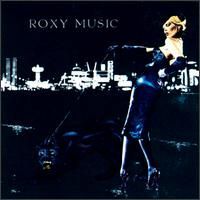 The result was "Tales of Heroes and Lovers," a lush symphonic rock album which had little to do with the current trends of the 80's. With access to the latest film and editing facilities through his work, David was able to write, produce, and direct a music video for one of the album's tracks entitled "It's Driving Me Crazy," which soon began receiving airplay on MTV. The video brought David to the attention of legendary group THREE DOG NIGHT who asked him to write and direct the video for their latest song "Shot In The Dark." The video was significant in that it would mark the last time the three primary members of the band would appear together - singer Chuck Negron would be asked to leave the band soon thereafter. At the same time David began recording and playing live with a local band called Influence which featured guitarist Jeff Burton, son of Rock and Roll Hall of Famer and Elvis PRESLEY guitarist James BURTON. Meanwhile, David's album found its way to Spencer Proffer, the eccentric president of Pasha/CBS Records who was currently riding high as a result of his success with QUIET RIOT. Rather than releasing the "Tales" album, David was asked to record a brand new one. Ex-YES and MOODY BLUES keyboardist Patrick MORAZ agreed to produce but would subsequently have to back out due to scheduling conflicts. With Pasha staffer Rand Bishop now in the producer's chair, David was teamed with talented Australian singer Chris Lloyds under the name Plan B. Although an album's worth of material was eventually recorded, the project was nevertheless shelved and Chris returned to Australia. 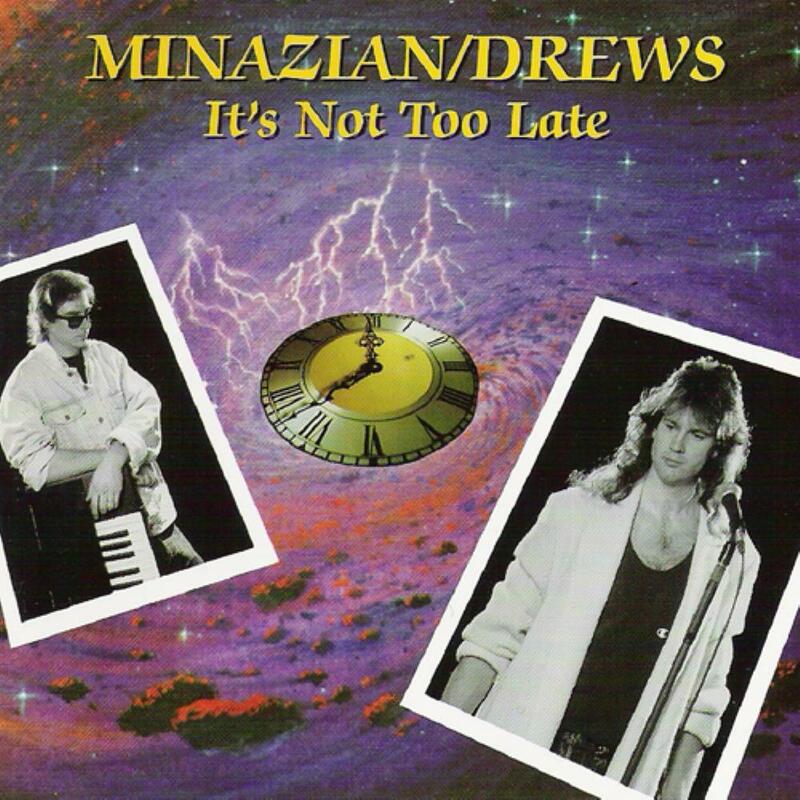 The early 90's, saw David join with new singer William Drews, and another independent album was released titled "It's Not Too Late." In 1996, David was asked to produce and direct a concert video, "Coming of Age," and a documentary, "Curriculum Vitae," for English progressive rock band CAMEL, one of his favorite bands. A friendship would soon develop between David and the band's leader Andrew LATIMER. Over the next two decades, David would produce and direct a total of nine DVDs for Camel Productions including the releases "The Opening Farewell" and "In From The Cold." In 1998, David began working as a second unit director on the feature film "The Joyriders" starring Academy Award winner Martin Landau and Kris Kristofferson. David ended up composing the film's main theme song "So Far From Home" which became EMI's first single release from the soundtrack album. In the Spring of 2009, David began thinking about the idea of recording a new album. And in June of that year, with the encouragement of Andrew LATIMER, decided to go ahead. 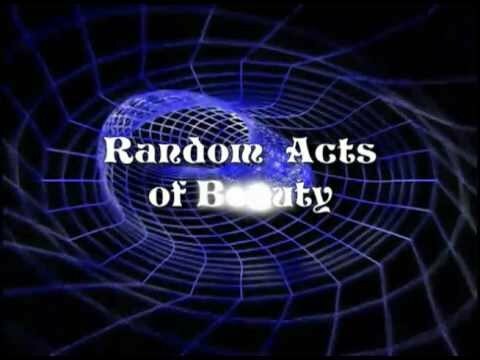 The album "Random Acts of Beauty" features David on keyboards (grand piano, harpsichord, mellotron, moog, and orchestrations), 12 string acoustic guitars, bass, and a return to lead vocals - something he hadn't done since the "Tales of Heroes" album. Joining David is his 20 year old son Justin MINASIAN on electric lead and classical guitars along with very special guest Andrew LATIMER of CAMEL who appears on the track "Masquerade." Prior to its release in October 2010 by ProgRock Records, Justin HAYWARD of THE MOODY BLUES who served as David's initial inspiration for getting into prog rock even commented on the album stating that "the guitar solo sound is fabulous and it's very Moody. I'm sure it will be a great album for David." Recording a follow up to "Random Acts" would prove to be a challenge with David's schedule becoming increasingly chaotic. David would travel to Japan to produce and direct an additional DVD for CAMEL, followed by four award-winning new concert and documentary DVD's for Justin HAYWARD, including a PBS television special. In 2016, David would co-write the theme for the motion picture "The Wind of Heaven" with Hayward as well as produce and direct its lavish much video. The song would be included on Hayward's Greatest Hits CD "All the Way" from Universal and Hayward would even title his "Wind of Heaven" world tour after the joint composition. Finally by 2018, David would find time to begin recording his latest album "The Sound of Dreams," featuring guest appearances by such prog heavyweights as Justin HAYWARD of the MOODY BLUES, Steve HACKETT of GENESIS, Annie HASLAM of RENAISSANCE and Billy SHERWOOD of YES. Hearing this album for the first time left me somewhat floored. I would have sworn that Minassian was a British artist. I would have been wrong. My experience tells me that American prog performers in general find it near impossible to avoid a bit of Country, Honky Tonk, Yee-Haa, Shuffle, some aggressive Metal coupled with bad Fusion and maybe a touch of Jazz. None of that had crept in here. Phew! First impression was that this work was very much like one of those melancholic and somewhat mediocre Latimer's Camel with a bit of latter day's Gilmour Pink Floyd thrown in. 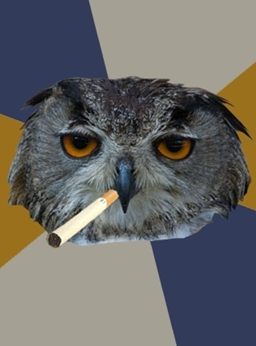 Melancholic stuff doesn't rate very highly with me. Good enough in the background while chopping onions, or dusting the lamp shades, also a surefire way to spoil a romantic dinner on a first date. Still, I couldn't write this album off as mediocre as there was an incling that it may eventually grow on me. And it has. There are classical elements that invoke some works of often excellent Hungarian band After Crying, also some mellotron lines remind of classic, early King Crimson. Latimer fans will love this work, one that deserves general attention from those who don't mind cliched Prog of the better kind. 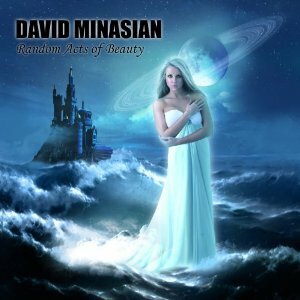 Random acts of beauty from 2010 is the second solo album of David Minasian, a musician known more for his collaboration with famous Camel, producing and directing Coming of Age DVD aswell as other 50 film and DVD projects. He release his first solo album in 1984 named Tales of heroes and lovers, but was almost unnoticed back then as know , being issued in the dark period of prog. The second album appear after 25 years Random acts of beauty, a symphonic prog album clearly similar towards Camel fame or in places reminescent of smooth The Moody Blues. The music is pretty much more then ok, with elaborated pieces, nice passages, all is good, we even have famous Andy Latimer on first track Masquerade doing vocal and guitar lines, nice piece. Another top ones is Blue rain or Frozen Time. Not much to add, a good symphonic prog album, nothing is groundbreaking here but the music is pleasent most of the time, the production and overall sound is little flat, otherwise no bif complains from me. Nice cover art aswell. 3 stars maybe 3.5 stars in places. WAOUH !! .... How could I have waited over two years to discover this album. To me, this one is certainly a prog's top5 for the year 2010. David Minasian is known as producer of some of CAMEL's DVD and when listening to the album you can't avoid to state that the guy has lot in common with Andy Latimer. Especially the two first tracks of the album (Masquerade & Chambermaid) reminds me Camel's work of the 1990s (Dust & Dreams, Harbours of Tears, Rajaz) which is certainly not a negative critic in my view. If Camel would have released a record in 2010 it might have sounded like this. You can't of course reduce David Minasian's work to some clone of Camel as he brings his own elements in it. The disc gives a proheminent place to piano, which is no surprise given Minasian's background. There is also an intelligent use of cello, violin, flute,... At this point, you may think the result is a smooth and warm album, this is true (some passages reminds me David Lanz and Yanni). But, there is also a more rock side in it. Best example being "Storming the caste" track which include some great electric guitar riff. But along the whole album, Minasian finds the right balance between acoustic and electric, between soft and energetic. Production is brilliant (no surprise again given Minasian's background) but this allows to fully enjoy the album. To conclude, the album's title is fully right: this is an "act of beauty". Just run to get this album, this is a must have (certainly if you appreciate Symphonic prog in general and Camel or Jadic especially... but also if you just want to discover something worth it). Hope their will be another Minasian album soon !! Well, it took me long enough to get this one, after a fair amount of hesitation mostly due to a slew of 'need to haves' before taking the plunge. The generally glowing reviews have helped as well as listening to a few samples on the artist's website. I, like my esteemed colleagues Lazland and Tarcisio Moura, really didn't expect this album to be as rewarding as it is. While I unsecretly enjoy 'beautiful' music, I am always leery of too much mellow saccharine in my sympho-prog, so I did hesitate a bit after seeing the corny artwork. Lazland's recent evaluation pushed me over the edge and I am really glad that I read other reviewers opinions and let myself be influenced by them. One only has to wait a few seconds before guest guitarist (and Minasian friend/idol) Andy Latimer unleashes one of the most inspiring axe solos on recent memory, a soaring, emotive and trembling execution of spiritual guitar bliss. 'Masquerade' is a dozen minutes of unpolluted symphonic gratification, expertly structured with a transcendent middle section where the piano, the cruising guitar and stocky rhythmic riffs collide in unanimity, all propelled by a sturdy bass and drum foundation. Added ornamental oboe increases the pleasure multi-fold. Andy also supplies the distressed vocals throughout, a profoundly sensitive expression of melancholia that truly is overwhelming. 'Chambermaid' is a tender ballad that is the only slightly weaker moment here, a nice song and pleasant playing throughout that reek of the Moody Blues style, saved by some dual guitar work that is clearly out of the norm and some effective lyrics. The loopy synthesizer also duels nicely with the fret boards, the melody is fabulously animated. 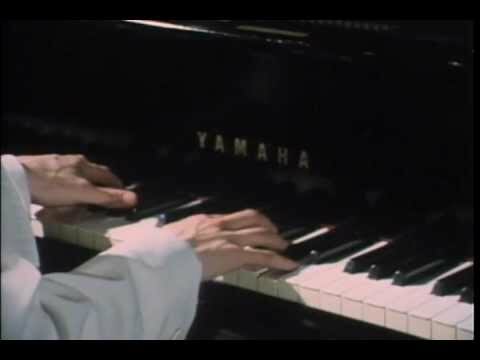 The two-faced track 'Storming the Castle' is a precise portrayal of underlying value of this artist as his luminous piano playing throughout elevates the material beyond the superficial and the bland, providing the ideal foil for blood relative Justin Minasian to scour the guitar horizons with a multitude of inspired solos. It starts out tranquil, pastoral and medieval, suddenly evolving into a harder/hyper climate full of conflict, contrast and delirium. The fear of new age Kitaro-style pap flies right out the window! The subdued 'Blue Rain' certainly is a perfect case in point, metaphorical ivories coating the cerulean arrangement, anchoring a gorgeous sequence of guitar leads, enormous orchestrations and celestial vocals of the loftiest caliber. 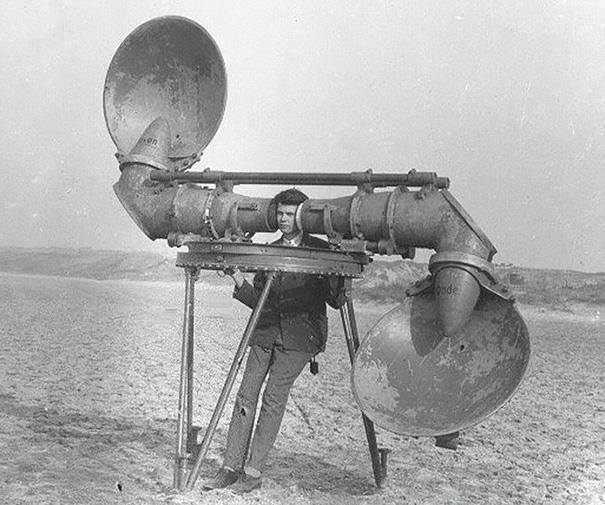 If audiophiles seek out impeccable sonic splendor in a quixotic setting, this track will do it, an achingly suggestive musical exploration that numbs the senses. A tremendous cello addition finishes off this amazing and uplifting track. The ambitiously symphonic and all-instrumental 'Frozen in Time' dishes out the entire gamut of implements in David's arsenal, from lute to flute, from clarinet to cornet and adding church organ strategically only to stamp this with complete prog authority. All the usual suspects play an equally important role with thrilling piano parts, excited guitar explosions, rumbling bass throttles and punchy accentuating drums. The arrangement ebbs and flows accordingly, with darker organ swaths morphing into a breathtaking acoustic guitar section that is to expire over, the underused beauty of the glorious harpsichord seeping into the fray with ease. The pace explodes into a raunchy riff that has uncanny hints of Gentle Giant's classic 'A Cry for Everyone', a bruising, oily and gritty guitar rant that is excruciatingly aggressive under the unexpected circumstances. Flailing drums and haunting mellotron provides the 'coup de grace'. The next immediate segment has an almost country/pastoral feel, with ostentatious oboe musings amid piano caresses and synthesized wisps. The luscious 'Summer's End' continues the glorious forlorn melody carved out on 'Blue Rain', a deeply sorrowful lead guitar appears relentlessly out of the indigo hurting but the acoustic guitar weaving merges with the flamboyant piano, the howling mellotron and the grandiose synths. The amazing 'Dark Waters' conjures aquatic images of power and serenity, the ocean's yin and yang imagery perfectly expressed by rivulets of oboe and woodwind that collide with gales of mellotron, guitar whitecaps and waves of rhythmic fury. While there are many who prefer a harder edged type of symphonic'prog a la Anekdoten, Anglagard and Porcupine Tree, there is always a time and a place for gorgeous arrangements that have substance and emotive power. Yes, this stuff is romantic, prosaic, dreamy, surreal and melancholic but its chock full of eye-brow raising moments that are frankly unexpected. The piano playing alone is worth the effort to add this into one's collection but the quality is definitely there in terms of sympho-prog standards. This is one of those albums that has a definite feminine appeal, ideal to cuddle up with and have the little lady in your life tell you that its very beautiful music! Now how can THAT be bad? David Minasian is a well known composer and video director who actually released his debut solo album as long ago as 1984, but it is this 2010 album that has made many progheads stand up and take notice. Of course many Camel fans know of David as he directed their 'Coming of Age' DVD and here Andy Latimer has repaid the favour by providing guitars (and vocals on one number) on his first outing since 2002. David's son Justin also provided guitars, with Guy Pettet on drums and David everything else. This is classic prog, steeped in the early Seventies and the sounds of The Moody Blues, Al Stewart, Camel, BJH and Renaissance. In many ways it is a very English sounding album, and with the liberal use of mellotrons it does sound as if it comes from that time as opposed to the present day. American native David Minasian is mostly known as being responsible for the production of several CAMEL DVD'S.He was born in Los Angeles and started playing the piano at the age of 15 and later he developed his film-making skills.At the early stage of his career he worked for a number of production companies around LA as a producer/director and occasional soundtrack composer.His long-time love for Progressive Rock though forced him to record and self- release a solo output in 1984 under the title ''Tales Of Heroes And Lovers'', where he sung and played keyboards with a great number of session musicians helping him in guitars, vocals, bass, drums and keyboards. 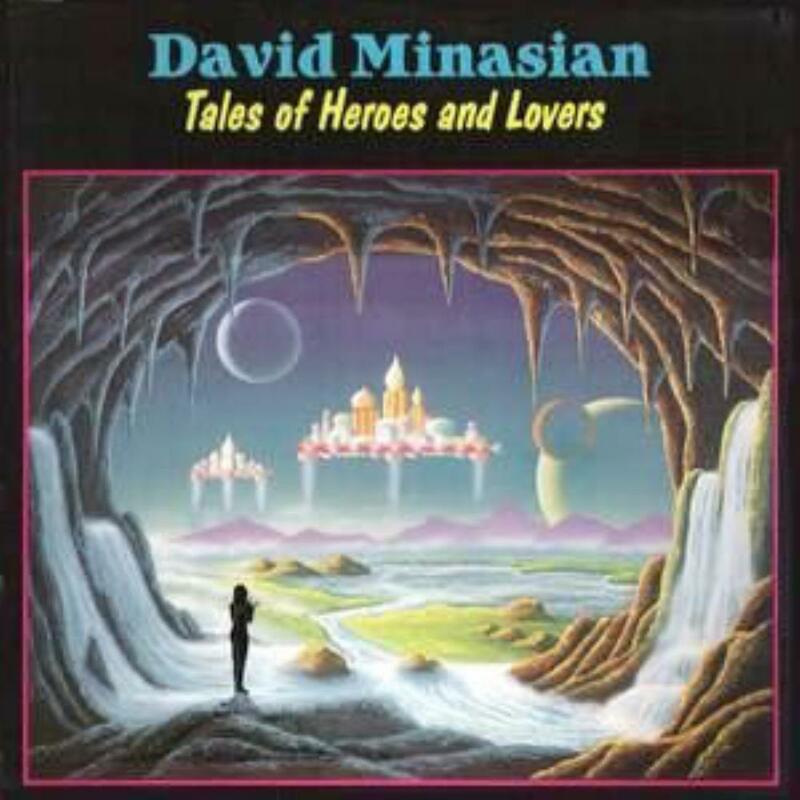 Undoubtfully Minasian was strongly influenced by the CAMEL period between ''Breathless'' and ''The Single Factor'' and actually ''Tales of Heroes and Lovers'' could have been easily a lost CAMEL effort from the mid-80's, especially on the first tracks, where the combination of sensitive vocals, light keyboards, soft pianos and smooth electric guitars stand somewhere between late-70's semi-commercial prog and AOR, yet they are always played with an artistic approach and with the music coming from the heart.Short tracks with catchy arrangements and a slick production, typical of the age, but the emotional content is deep and welcome.On the later tracks Minasian leaves his commercial side apart and begins developing a bit more adventurous compositions, sometimes reminiscent of late-70's YES and GENESIS (and of course CAMEL) with more dramatic keyboard and piano parts, a good number of sudden breaks, a more energetic guitar delivery and even some nervous sax performance and choirs appear in some tracks.His Classical education becomes apparent and the arrangements still are striking and well-executed. Of course we are talking about mid-80's here and this album was destined to be buried in the sands of time due to its limited promotion and semi-progressive approach.A good work of Progressive/Art Rock with some commercial hints, which is in a need for a CD reissue.Recommended if you are a fan of CAMEL and late-70's prog, if you find a vinyl copy at a reasonable price. After discovering beautiful second album by David Minasion (it was a bit of a grower, but finally I succumbed to its beauty), I was left out craving for more of the same. I did reach out to seek this previous installment and, well, it's a precursor for sure, but except plagued by few 80s symptoms, worse production, it simply sounds like demo version for the later "sequel". It is still beautiful (don't forget it goes in the same vein, only this one is unpolished diamond, yet to be carefully crafted), but still an enjoyable album. If would be hypocritical to drown this album too low when I rated Random Acts so highly. 3(+), almost four, but let's be fair. Overall, I didn't particularly like or dislike this album. Beauty in prog is my thing, so I expected to be fairly bowled over by this, but certainly wasn't. I expected great melodies, and while they aren't bad, I think bands like Cirrus Bay have spoiled me. What I really DO like about the album is the guitar playing, both of Andrew Latimer on the opening mini epic, and that of his son Justin, who both play wonderfully, and therein lies the strength of the album to my ears. And though Mr. Latimer makes a fine appearance here, the compositions are too repetitive and even predictable at times to be quite of Camel calibre. The vocals are weak as well. Having said that there are some fine instrumental sections throughout here, and I think it will, overall, be a pleasant occasional listen. David Minasian has made a minor name for himself in progressive circles by producing several excellent DVD releases for the mighty Camel (and Andy Latimer repays the favour here, but more on that later). However, Minasian's ambitions do not stop at producing videos, he also writes his own music as evidenced by this much praised solo album of his. Actually, Random Acts Of Beauty is not Minasian's solo debut album as he did one already in 1984 - one that went largely unnoticed, as far as I know. What we have here is pretty much Symphonic-Prog-by-the-books. While trying to describe this music in words I end up with something that could almost be a definition of the old-school Symphonic Prog from the late 60's/early 70's. Minasian himself has mentioned The Moody Blues, Barclay James Harvest, Camel and early King Crimson as reference points when describing his own music and that is indeed very accurate. But while all the typical ingredients of that genre are here, the end result is somewhat lacking in soul and passion, in my opinion. This album is frankly quite predictable and even a bit dull occasionally! While there is nothing wrong as such with following the old masters of your favourite genre, there is always the risk of sounding very unoriginal and anonymous and this is clearly the case here. There are some Rick Wakeman-like keyboard parts and some Steve Hackett- like guitar solos, but it all becomes a bit too predictable to this reviewer. This is retro-Prog in the sense that it could just as well have been written in the early 70's, but the production is modern. It is indeed "beautiful" and quite pleasant on the ears, but hardly exciting and not particularly memorable. There is very little to complain about as such, but there is also very little that grips me. The mixing and production is good apart from the drums that sound a bit weird at times, but the result actually sounds a bit too good in the sense that it becomes "glossy" and somewhat artificial, just like the awful and cheesy cover picture! The principle musicians involved are David Minasian himself and his son Justin. While Justin plays most of the guitars, David plays an impressive number of instruments including a plethora of vintage keyboards (with the lovely old harpsichord in particular given pride of place), cello, violin, oboe, flute, recorder, clarinet, french horn, cornet, dulcimer, sitar, bass and drums as well as doing the lead vocals! His voice reminds of that of Justin Hayward of The Moody Blues. Andy Latimer of Camel appears on guitar and vocals on the first track. His guitar solo is very nice indeed (and it is truly great to hear him play again after his miraculous recovery from a horrible illness). Latimer's unexpected lead vocal part towards the end of the song does however sound very much out of place and indeed a bit "random". You might be forgiven for thinking that Minasian's motivation for including Latimer on this album was to make it sell better than it otherwise would have, but the two of them have actually been good friends for a very long time and it was Latimer who kindly offered his services to the proceedings. But there is no denying that Latimer's presence is a major factor in drawing attention to this work. While nothing here is bad as such, I simply fail to see what has made some people so enthusiastic about this album. Easily one of the most beautiful CDs I've heard and I'm not just saying that because of its title. I've been a faithful reader of Prog Archives for years and was motivated to finally register and write a review after hearing this album. As a longtime Camel fan I was excited to hear something new from Andy Latimer after such a long absence. Andy plays guitar and sings on the first track Masquerade, and what a track it is. It begins with solo piano. Various instruments such as harpsichord, oboe, and cello are then added to the mix. Davids vocals take over and the track slowly begins to build. At the 4 minute mark Andy's trademark lead guitar enters along with drums and a powerful Squire-like bass. Andy's lead soars over a lush mellotron backdrop for the next 4 minutes, interrupted briefly by a moog solo. At the 8 minute mark the tempo dramatically changes and for the remainder of the song we have powerful twin guitars from Andy battling it out over Davids frantic piano. Andy's heartfelt vocals bring this stunning track to a close. For the rest of the album, Davids son Justin takes over the guitar work. The middle section of Chambermaid features an extended instrumental break right out of the Genesis playbook with sustained Hackett-like guitars, swirling Banks-like keyboards, and bass pedals which will test the limits of your sound system. Storming the Castle begins like a Blackmore's Night track then suddenly morphs into heavy rock with blistering leads on moog and guitar. A very cool track. Blue Rain provides the CD with its most gorgeous moments, highlighted by beautiful oboes, piano, harpsichord, and stunning Gilmour-like guitar leads. Frozen in Time is the most progressive track here. Made up of various sections, it flows from a keyboard-led fanfare to a pipe organ solo to a lute solo to heavy rock and back to fanfare during its 14 minutes. Summer's End to me sounds like the ultimate Barclay James Harvest track with its heart wrenching guitar leads over a lush background of mellotron, piano, and heavy bass. In fact, the whole album is drenched in mellotron and melancholy. 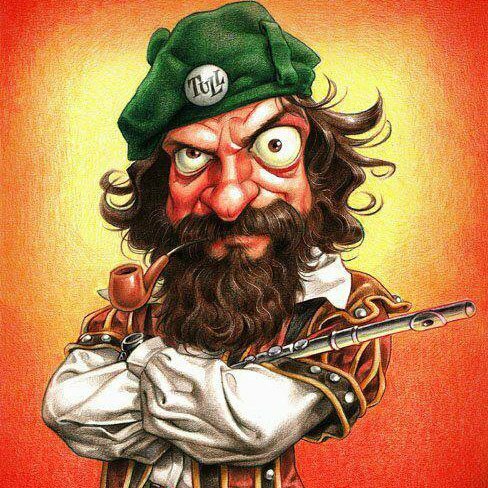 Much of the music has a classical feel to it reminiscent of some of Jethro Tull's material (Velvet Green, etc.). And the melodies are some of the most memorable I've heard. David has a very good voice, however his soft vocals may be way too laid back for some. But this is not a vocal oriented album. 3 of the albums 7 tracks are instrumental including the longest track and those with vocals all feature long instrumental passages. 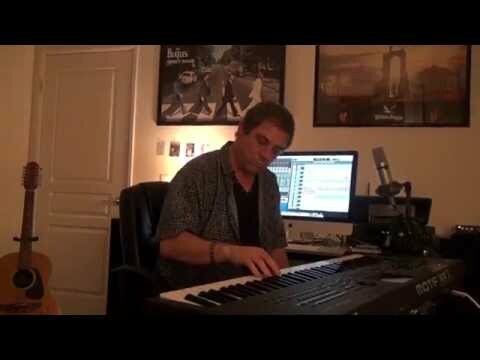 To me, when the vocals and harmonies do appear, they blend in perfectly with the music. This is a one-of-a-kind album that has been created with great care and excellent musicianship. I'll be anxious to see if David can actually top this. A definite 5 star masterpiece of symphonic prog.